This was a tricky, tricky page to script. Bezuel and Niada have a bit of a complicated interplay going on here and getting the ideas AND the emotion across was the challenge of this page. In these short origin stories the job is always the same–conveying the maximum amount of information with very little space. It really requires the words and the pictures to work together–as it would in any good comic–and an artist who can pull it off. Luckily, I clearly have that in Wes Molebash. 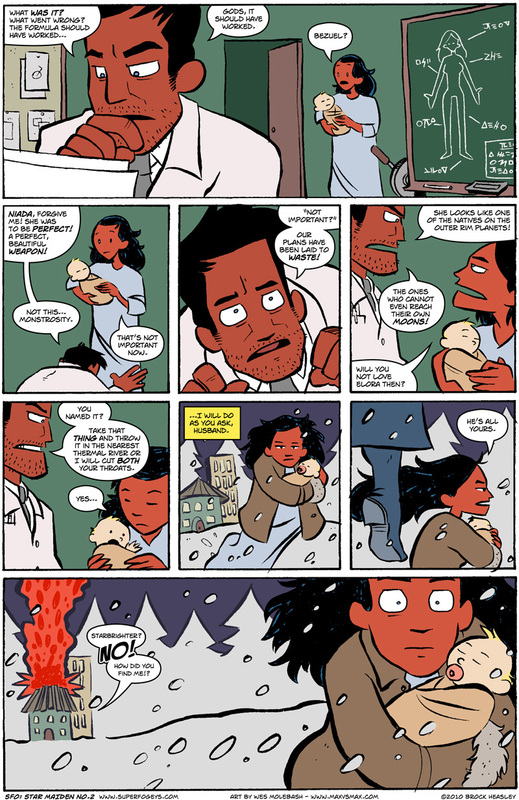 If you’re not reading Wes’ Max vs. Max then your life is sadder than mine. Be happy now. WHO WILL DRAW THE ORIGIN OF SPY GAL? COULD IT BE YOU? The competition to see who will be drawing the Spy Gal Origin is heating up! The entries just keep rolling in and it’s so much fun to see different takes on our favorite gun-totin’ ghost lady. Think you got what it takes? Get the full details right here (scroll down a little to below the strip). 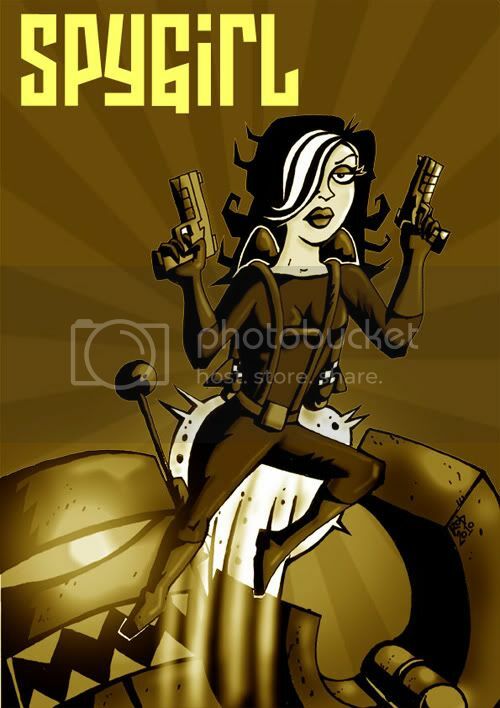 Young Spy Gal by way of James Bond by Kent Holle! Young Spy Gal by Rob Englebright! Young Spy Gal relaxing by Aidan Casserly! Deadline is Tuesday, May 4th! See you on Thursday with SuperFogeys 253! Nov 11, 08 178 – Death, M.D. SuperFogeys - 646 – Dark Maiden Wants What Now?